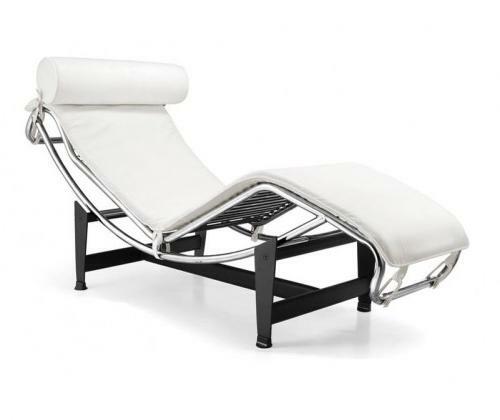 LC4 Lasair Chaise Lounge is a classic modern reproduction of Le Corbusier chaise lounge LC4 originally designed in 1928. The Lasair Lounge chair offers the ultimate relaxation experience. Its sleek lines combined with beautiful curves definitely makes a statement for any room. The Lasair Lounge chair offers the ultimate relaxation experience. Its sleek lines combined with beautiful curves definitely makes a statement for any room. This leather chaise lounge features a full range of reclining positions for you to enjoy. The sturdy frame is made of ultra-premium #304 Stainless Steel polished to a mirror finish. 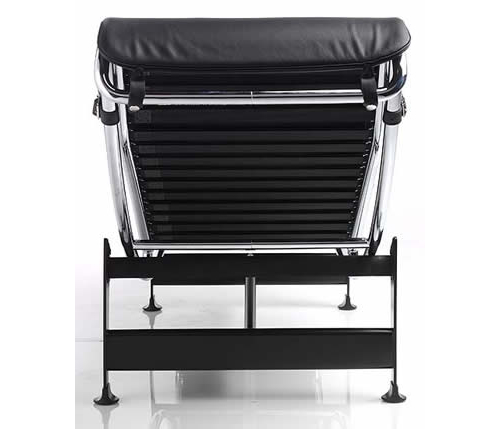 Base frame in black steel finish features rubber gripping pads for easy and safe positioning of chaise in desired position. The surface is a soft high grade Aniline Protected Italian leather, which provides you comfort and long lasting quality. The Corbusier leather chaise lounge LC4 makes a great addition to your modern living style.